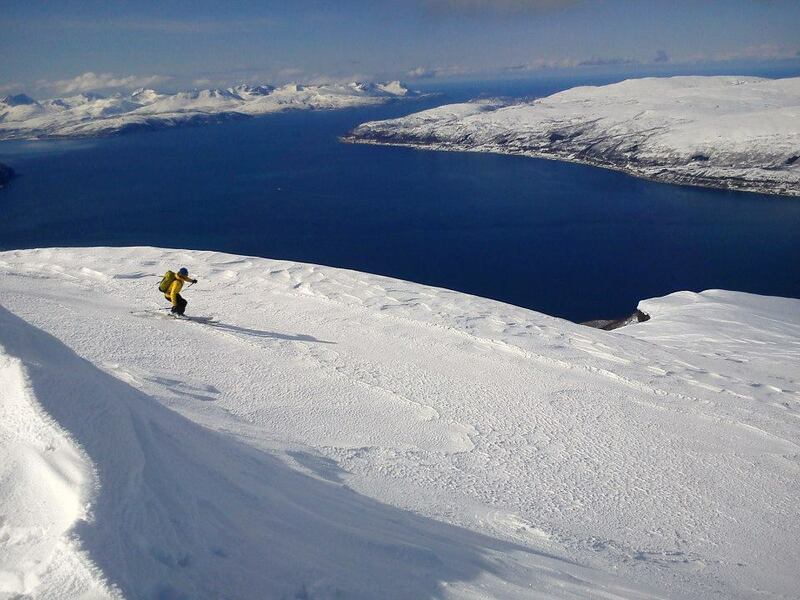 Join this spectacular ski touring trip, exploring the border triangle between Norway, Sweden and Finland, based in Tromso. IMFGA-certified guide Laszlo takes you around the Lyngen Peninsula, Tamokdalen, Lapland and some of the best skiing spots in the region. 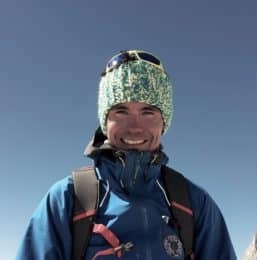 I invite you to join me on a unique 7-day adventure, starting in Tromso and combining spectacular ski tours around the border triangle of three Scandinavian countries: Norway, Finland and Sweden. You will be amazed by the spectacular landscape of a wide open sea and majestic mountains of the Lyngen Peninsula. 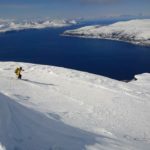 The Northern Norwegian coast is probably one of the best destinations in the world for ski tourers, specially in the second half of April. We may also enjoy some great ski tours in Tamokdalen, a wide valley well known among Nordic freeriders. Often there is better snow here than in the coastal areas and the snow cover is usually more stable. Tamokdalen is near the border with Sweden and Finland, in the higher lands. There are also birch forests in this region, suitable for amazing tours and “treeriding” competitions. On the other hand, Lapland, in Finland, will add a touch of mysticism to our tour. A must during this trip will be a snowmobile ski tour from Finland to Sweden and back. We always try to be flexible and make the most out of the conditions. Our base will be a typical norwegian house by the fjord, near Lakselvbukt, in Tromso. Every day, we will make day trips from there. With daylight almost all day long, the start of the day and day program can vary. 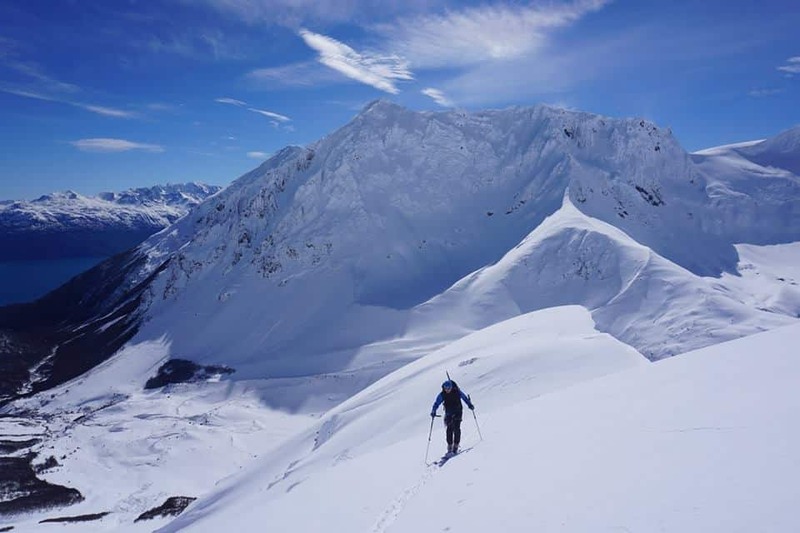 Taking advantage of the special Spring conditions in the north often requires flexible scheduling, but allows for extraordinary ski tour experiences! You can check the day-by-day itinerary below. This tour is for skiers with some previous skiing experience away from the groomed slopes, but you do not have to be a perfect powder skier. It is enough if you are technically able to control slopes to some extent. However, you must be able to climb up to 5 hours, with approximately 8 hours of total hiking time per day. So what are you waiting for? Book your trip and join me on this amazing ski touring trip, exploring the spectacular terrain of the Norway, Finland and Sweden border! The price includes: Guiding Fee- Accommodation in 2-4 bed rooms with half-board- Private transportation for the whole tour from Tromsø Airport to Tromsø Airport- 1 day snowmobile support- LVS equipment on loan. Individual arrival in Tromso. We meet at Tromsø airport and continue (1 hour) to our accommodation. A typical norwegian house by the fjord, near Lakselvbukt. Once there, we will discuss the program for the upcoming week and have dinner. We will make day trips from our base. With daylight almost all day long, the start of the day and day program can vary. Sometimes our choice is an “alpine start” early in the morning, sometimes we take advantage of the better conditions later in the day and go out in the afternoon. We want to take advantage of the special spring conditions in the north in the best possible way and this often requires flexible scheduling – but allows for extraordinary ski tour experiences. We usually take breakfast and dinner in our place. We will take day trips of about 1000-1500m. This means tours with a duration of about 5 hours of ascent and 8 hours in total. We will have breakfast at our cabin and drive back to Tromsø airport. Typical norwegian house by the fjord, near Lakselvbukt, in Tromso. The tour takes place in Norway, Finland, Sweden. Please hire good insurance protection! (International health insurance as well as insurance covering any rescue and rescue costs). 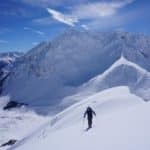 -Ski touring equipment: touring skis, climbing skins, crampons, ski touring boots, telescopic poles with large plates. These ski tours are high alpine tours with exposed terrain, avalanche danger and rockfall. Under difficult weather conditions (snow, ice, fog, rain, storm, avalanche danger, thunderstorm), the daily goals can only be achieved under difficult conditions or even impossible. The short term occurrence of such weather conditions must be expected in the high mountains, unfortunately, always and at any time of the day and season. When I was 15 yers old, I discovered the fascination of the mountains and began climbing in 1993. Over the time become the walls longer and steeper. 2010 That's when I became really interested in guiding and discovered my passion for training. I started guiding in 2013, and work with my motivated guide Friends summer and winter in the Alps.